Green 20cm (8in) square mesh. 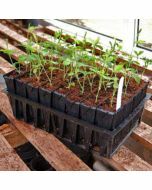 Designed to support climbing plants, vegetables and long-stemmed ornamental flowers to promote healthy growth from seedling to maturity. 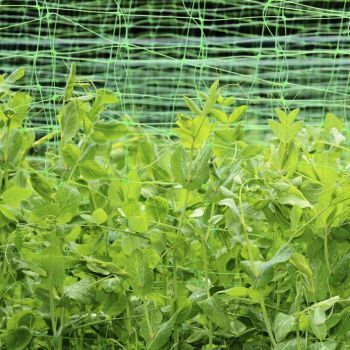 If the Pea and Bean Netting is used vertically it is able to support and encourage the growth of many climbing vegetable crops. 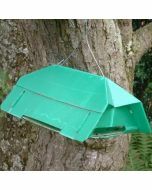 Ideal for garden peas, runner beans, cucumbers, marrows, courgettes, tomatoes, sweet peas and clematis. 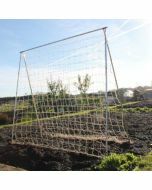 Use horizontally and the plant support nets are ideal for supporting long stemmed flowers including chrysanthemums, delphiniums, alstroemerias, freesias and carnations or vegetable crops such as broad beans.